While the puzzle title says beginner, it is at the easy level as far as samurai sudoku puzzles. 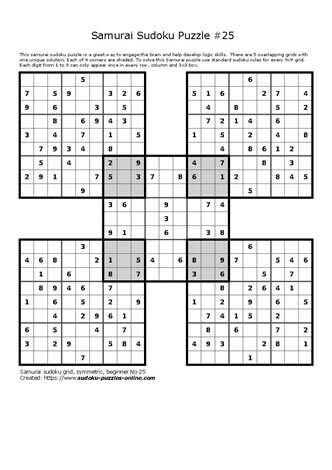 These 5-grid sudoku brain teasers provide for hours of fun, have one unique solution and can be used to challenge family and friends. Use basic sudoku rules and logic to solve these extreme forms of sudokus!